American Veterans, a non-profit group started by World War II servicemen, leapt at the opportunity to advertise in the official 2018 Super Bowl program but was shocked to find that their pitch had been rejected based on language within the ad. John Hoellwarth, the national communications director for AMVETS, told The Daily Caller Monday that despite being specifically targeted as a potential ad buyer by H.O. 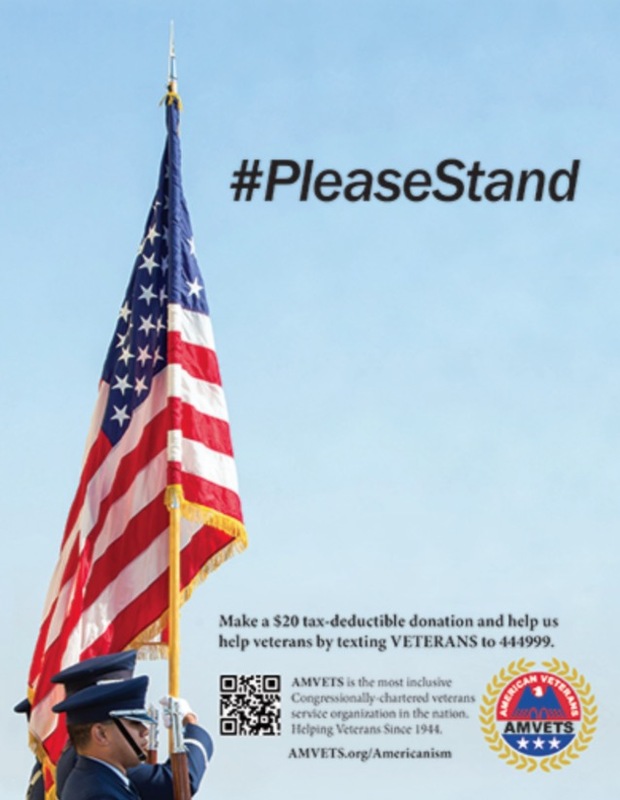 Zimman, the publishing firm responsible for putting out the official Super Bowl program, AMVETS’ #PleaseStand ad was ultimately rejected without a proper explanation as to why. AMVETS was given the chance to submit a new ad but did not accept the offer. According to AMVETS, the ad in question had been submitted for approval over Martin Luther King Jr. Day Weekend — H.O. Zimman had reached out to AMVETS the week prior — yet it took days for Hoellwarth and company to be informed of the rejection by Adam Scharff, H.O. Zimman’s associate publisher and vice president. Hoellwarth explained to TheDC that it was unclear if the ad’s rejection came from Scharff and H.O. Zimman or the NFL proper. 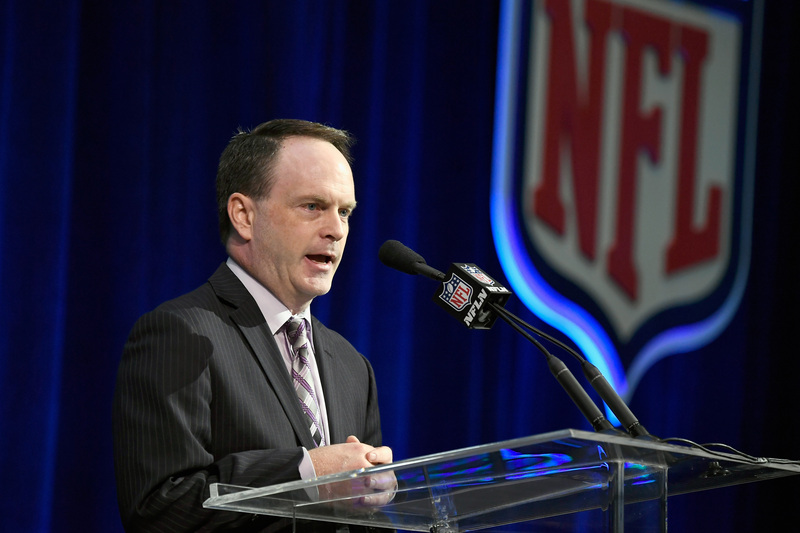 When asked to comment, the NFL’s Vice President of Communications Brian McCarthy told TheDC that while a third-party is responsible for actually selling ad space in the program, the NFL ultimately decides what content is allowed to run. It should be noted that the version of AMVETS’ ad (above) supplied to TheDC did in fact contain a hashtag, which appears to run contrary to McCarthy’s statement. Scharff and H.O. Zimman did not return TheDC’s request for comment. According to a Monday press release from AMVETS, the ad had been accepted by both the NHL and NBA for use in the programs for each league’s upcoming all-star games. AMVETS also addressed the issue in a Monday open letter to NFL Commissioner Roger Goodell (below). It is worth noting that the ad package offered to AMVETS was sold to corporate sponsors for $120,000, although H.O. Zimman offered AMVETS a reduced, non-profit organization rate. The 2017 NFL season quickly became one of the most politically charged seasons in recent memory. Sparked by former San Francisco 49ers quarterback Colin Kaepernick, players on teams throughout the league knelt for the national anthem. Players’ actions were quickly deemed disrespectful to the armed services and veterans communities and were harshly criticized by President Trump. No NFL players have participated in the anthem protests during the playoffs.